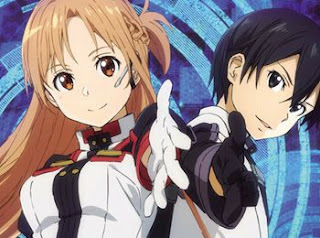 It seemed kind of inevitable that Sword Art Online, the smash-hit ‘light novel’ series would eventually spawn a movie spin-off, in this case the curiously – and pointlessly – named Ordinal Scale, a phrase which is going to look great on a t-shirt you can parade at Comic-Con. To those of you unfamiliar with Sword Art Online, you may want to watch some of the series (on Netflix here in the UK, as well as various anime streaming sites) before diving into this, because otherwise it will make precious little sense, your ignorance largely unalleviated by the rapid-fire info-dump which prefaces the movie-proper. 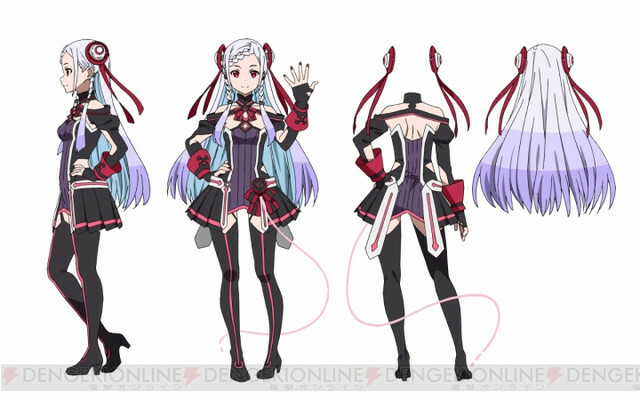 To help you out a little: 2022 sees the appearance of Sword Art Online (SAO), a Massively Multi-Player Online Role-Playing Game (MMPORG) using the revolutionary NerveGear helmet which taps into the player’s brain during unconsciousness. Upon the game’s launch, 10,000 players log in, eager to get crack-a-lacking in an immersive swords-and-sorcery universe (called Aincrad) of 100 levels, only to find that they are trapped by the game’s sadistic creator, Akihiko Kayaba, and have to fight their way out. Back in the real world, meanwhile, their bodies go into comas. Die in the game, you die. Remove the headgear, you die. Get married in the game you, er…well, virtual weddings apparently just stay in Vegas (Aincrad). And so it goes. Enter a level, beat up some minions, make allies, don’t make allies, kill other players, meet the end of level boss, usually some kind of scorpion-minotaur-demon-snake-spider-robot-goddess and then onto the next. Fall in love, marry, beat up more things. Quite fun really, if you’re 12. "Hey, is this the cake I ordered?" There are, trust me, easier ways to make money, but SAO is perhaps an analogue for Japan’s drifting economic performance and dismay that the country’s trusted source of income – technology – just isn’t bringing the returns that it once did, hence skullduggery. Not for the first time, SAO feels like it has more to say as regards politics, life, the universe and all that, but embedding it in a vehicle designed to thrill 12 year olds and have most adults reaching for the Off button due to the often-excruciating dialogue and clunky situations seems a very elliptical way of making the point. But I digress. So to Ordinal Scale. Just four years after 4,000 people have died in the original Sword Art Online unbloody bloodbath – yes, more than in 9/11 – new VR headgear – the Augma – launches (#toosoon?). The difference is that this VR headgear doesn’t spark the invasion of anywhere, it just doesn’t need you to be asleep, and the early scenes of SAO:OS are quite intriguing as a result, with the Augma offering us a combination of Googleglass (if it had worked) and those cool ads for Modern Strike where you get to destroy your opponent/friend’s missile silo on the next table in Starbucks, and – get this – ranks you into the bargain, your rank visible above your head on a little rotating virtual plaque. Unlike Modern Strike et al, however, the points you win in your Augma games turn into cake – yes, CAKE. What’s more your Augma has observed which kind of cake you like – strawberry gateau – in all your previous interactions with cake, so that your game prizes match your preferences. Final Fantasy meets WeightWatchers. Sadly, this is the last we see of this Black Mirror-esque probing into the future of commerce, big data and cake, as we dive headlong into lots of intrigue about previous SAO assassin cults and harvesting game-players’ psychic energy to resurrect the dead daughter of SAO’s mass-murdering creator who – curiously – has a kind of thing about performing karaoke in front of a stadium full of people. Dragonball-Z meets X-Factor. Taken at face value, SAO:OS is a jolly romp, culminating in the boss-fight to end all boss-fights featuring a goddess-dragon-demon with a healing tree and apocalyptic prismatic destructive capabilities, which ends in the usual kind of non-resolution which leaves the way open for more of this colourfully-confusing light (novel) entertainment. Deep, it ain’t, seemingly content to leave its social commentary at the cake stage, but it’s not a terrible way to pass 90 minutes. 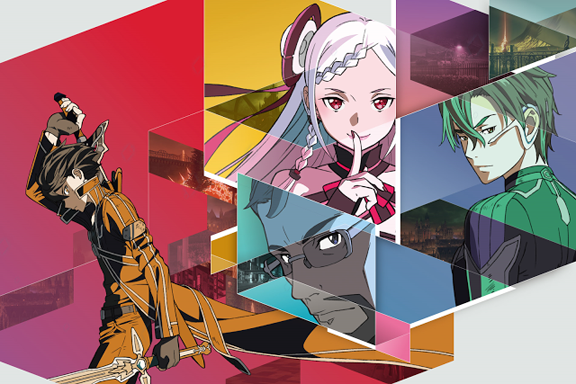 If you’re a Sword Art Online devotee, go see this and glory in all the boss-fighting and SAO cult intrigue. If you’re not, but hitched to one, you’ll hopefully enjoy the visuals and get a kick out of the “what if…(cake)”. Otherwise, wait for it to come on Netflix, pour yourself a vodka-and-coke and do the ironing with SAO:OS fizzing, freaking, baffling and zapping in the background. Oh, and maybe have a little slice of cake along the way, get into the spirit of the thing. Go on, you’ve earned the points.